South Africa is facing its worst drought in 33 years, affecting crop and livestock farmers all over the Western Cape and in the rest of South Africa. For many farmers, natural water shortage is a major problem, and with much needed rains staying away and dams at an all-time low, many of them fear the worst for the next harvest. Mardouw in Swellendam, however, is in a unique position to cope with drought spells. 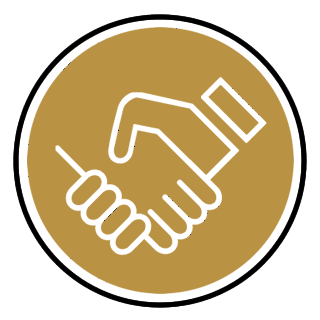 Meet Mardouw’s general farm manager and expert oil-maker Chris van Niekerk at the ANUGA Fair in Cologne between 10 and 14 October, as part of the South Africa Pavilion, Hall 11, stand 1 A 050 and taste the full Mardouw product range. 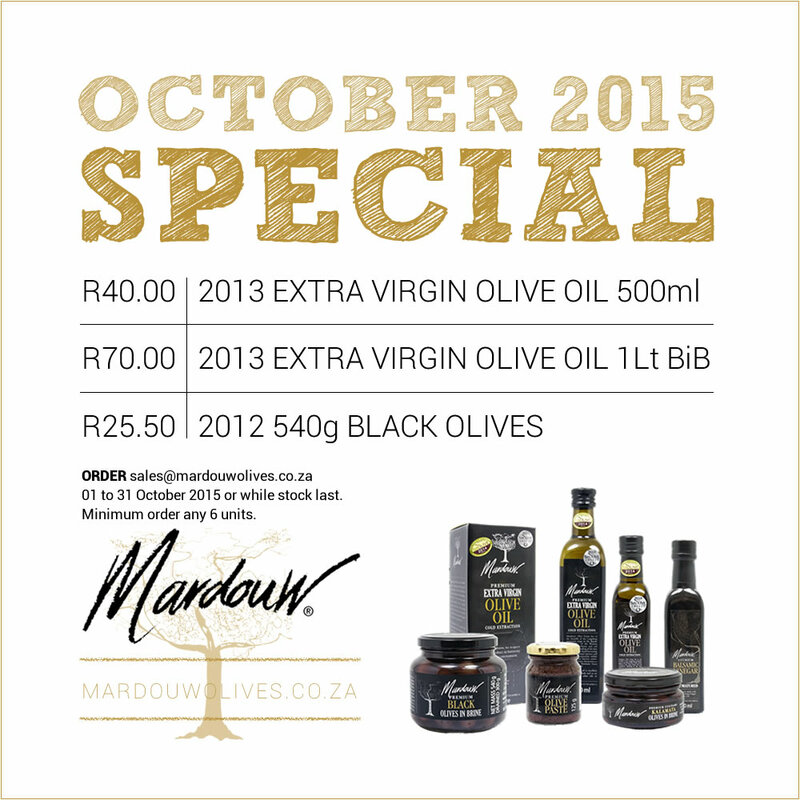 Stock up on olive oil and black table olives with the Mardouw October SPECIAL! 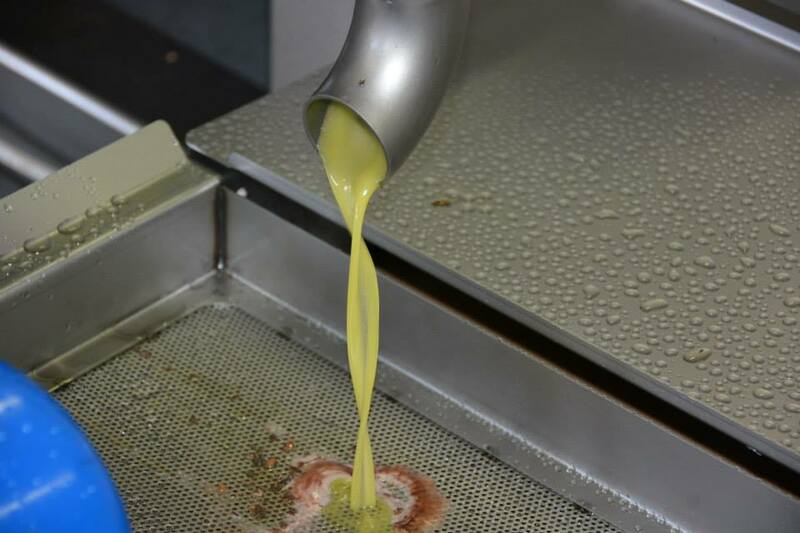 ORDER from Mardouw’s online olive shop between 01 to 31 October 2015 or while stock lasts. Minimum order any 6 units. Congratulations to the winner of our Facebook “Like” campaign. 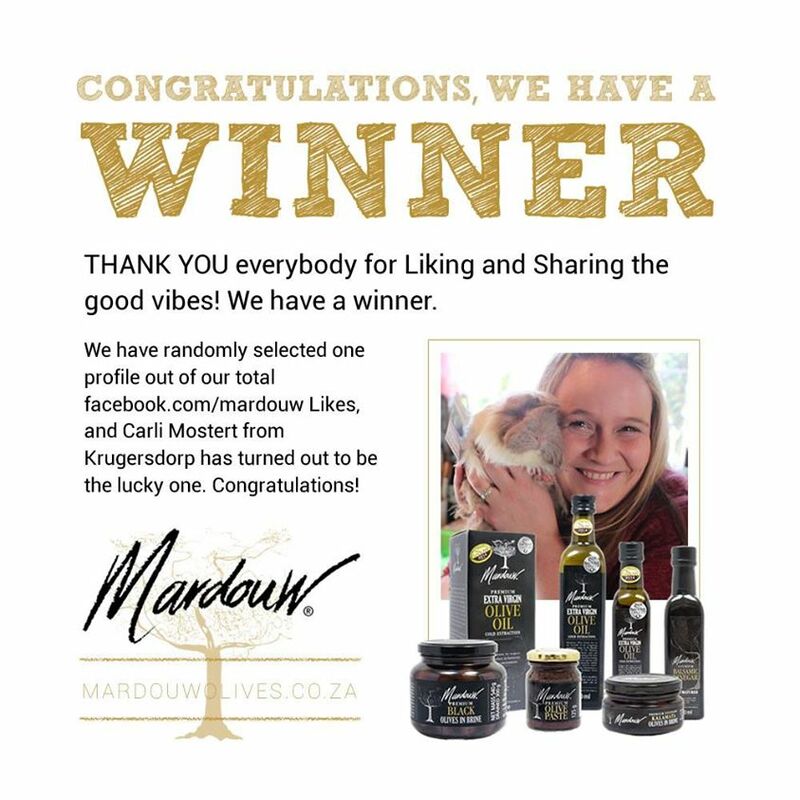 People who have liked facebook.com/mardouw before 15 SEP and stood a chance to win Mardouw’s full premium olive products range, including extra virgin olive oil, culinary table olives, balsamic vinegar, olive chutney and olive paste. Today, we selected a random Facebook profile out of the total page likes, and miss Mostert from Krugersdorp turned out to be the lucky one. 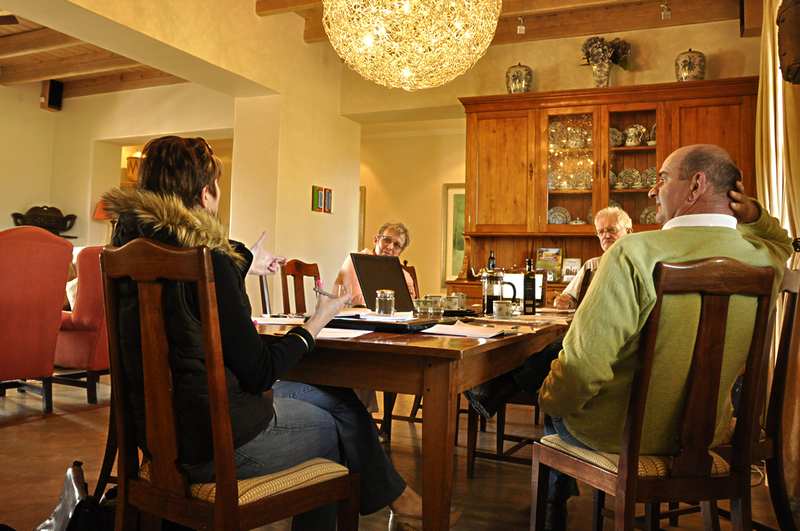 Brainstorming business targets and marketing strategies for the road ahead at the Manor House at Mardouw Olive Estate in Swellendam. Watch this space! 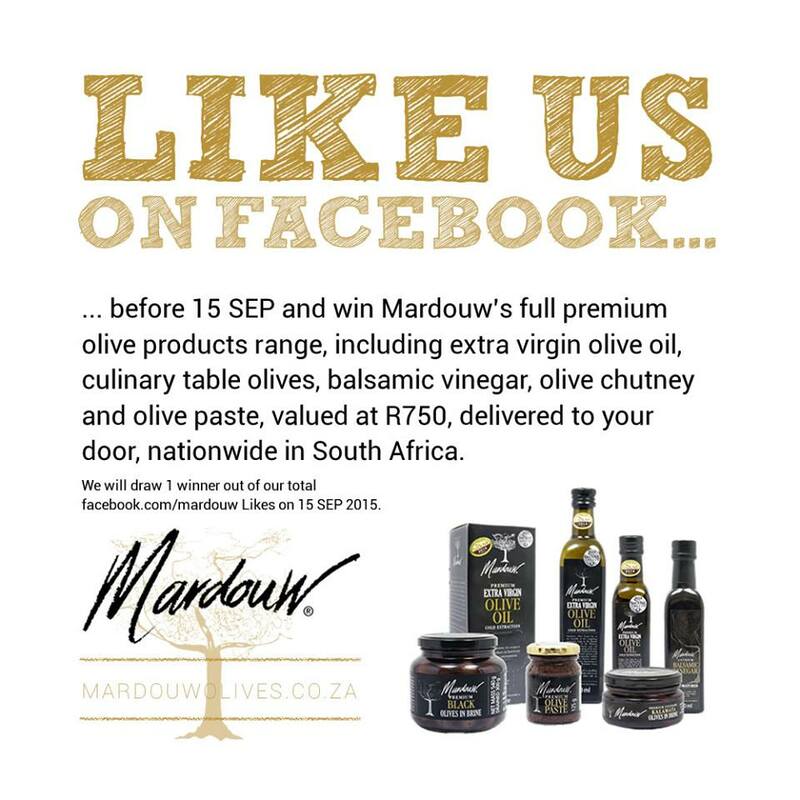 Like the Mardouw Facebook page before 15 SEP and win Mardouw’s full premium olive products range, including extra virgin olive oil, culinary table olives, balsamic vinegar, olive chutney and olive paste, valued at R750, delivered to your door, nationwide in South Africa (only). 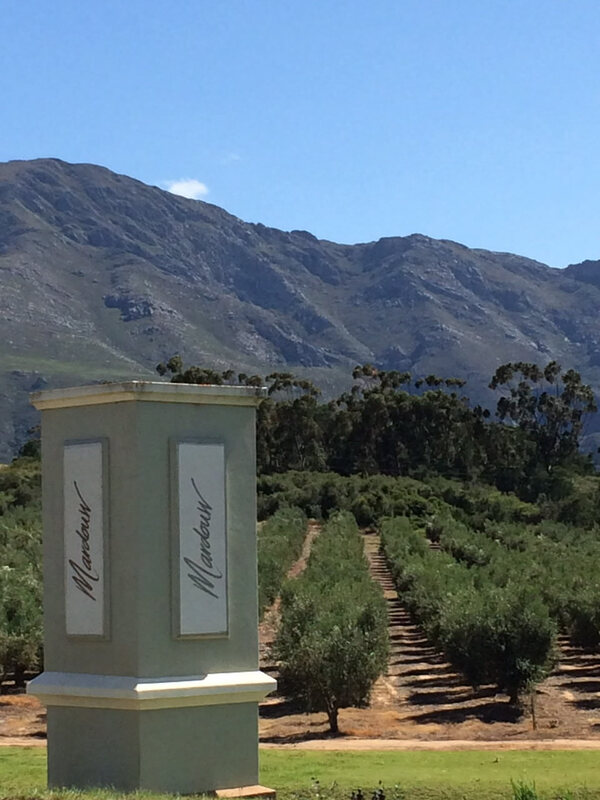 MARDOUW OLIVE ESTATE is proud to announce and welcome Chris van Niekerk as its new Olive Estate General Manager. 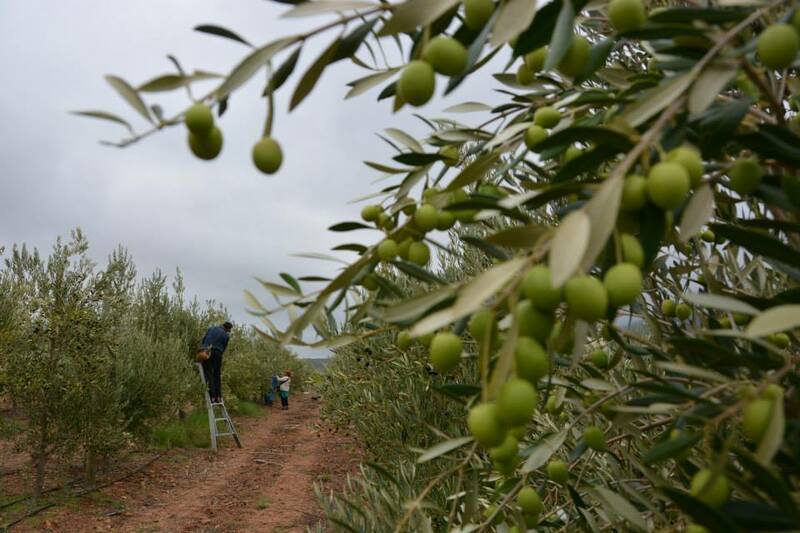 Chris brings with him over sixteen years of experience in the olive and agricultural industry. 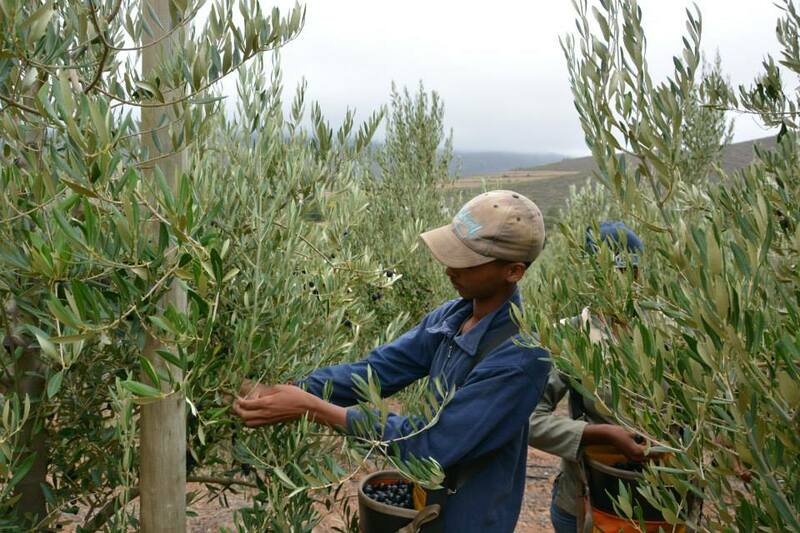 He came to us from Morgenster Olive Estate, where he served as Manager Olive Production and Procurement for three years. 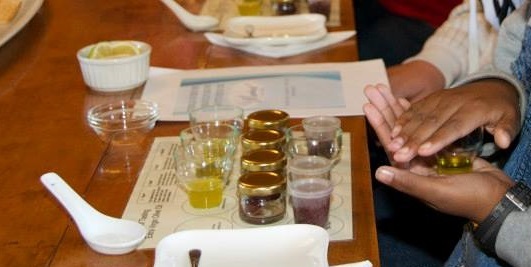 He has also served as Estate Manager at Croydon Olive Estate for three years. 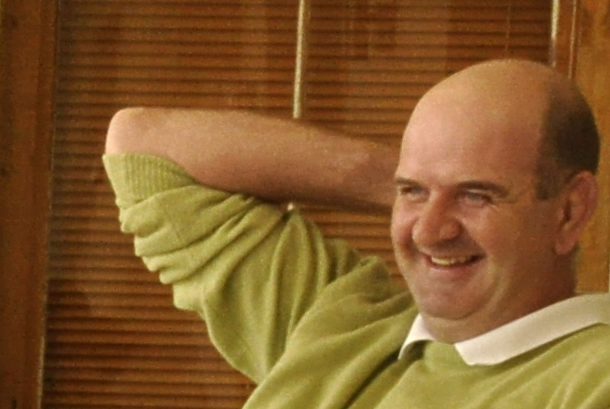 We are pleased to have Chris on board, and look forward to a prosperous future with him.